What does Bryant® Smart” technology mean? It means comfort just right for you and your family year-round. 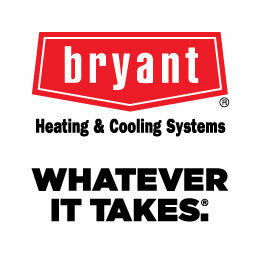 It means experiencing the Whatever It Takes® difference of Bryant®. 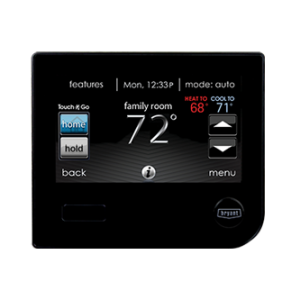 Bryant combines innovation and technology to produce a unique combination of temperature and humidity sensors with a “Smart” control board to achieve maximum performance. The setting provides the best possible combination and “learns” which performance conditions work best for your comfort and energy efficiency. Per fect Humidity® technology means optimal summertime cooling and dehumidification. The components include a humidity-sensing control, multi-speed air conditioner and a property matched fan coil or furnace inside. Drawing moisture out of your air improves your over all air quality. For more information on how Bryant® can help with your indoor air quality CLICK HERE. Bryant® built with your comfort in mind and bringing to your home the exclusive Evolution® V air conditioner for whole-home comfort. Remember to call our tech team at Sanders & Johnson to find you the best Bryant® air conditioning solution for your home. Sanders & Johnson located in Denver, we are committed to providing you with lasting quality and service with Bryant®.